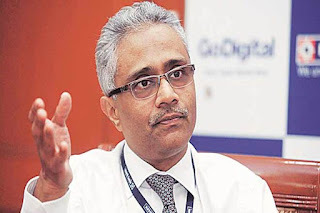 Paresh Sukthankar on Friday stepped down as deputy managing director of HDFC Bank, the country’s largest private sector bank by assets. The resignation comes as a surprise as Sukthankar, who was elevated to the deputy managing director position in March 2017, was widely expected to take over from managing director Aditya Puri. While there was no official confirmation from HDFC Bank, media reports said Puri had indicated at an analysts meet that the bank intended to identify his successor 18-24 months before he retired. Prior to joining HDFC Bank, Sukthankar worked in Citibank for around nine years, across verticals including corporate banking, risk management, financial control and credit administration. Sukthankar, who has done his Masters in Management Studies from Jamnalal Bajaj Institute (Mumbai) and the Advanced Management Program (AMP) from the Harvard Business School, has been a member of various Committees formed by the Reserve Bank of India and the Indian Banks’ Association. There is speculation Sukthankar may be considered for the top position at Axis Bank, which will fall vacant after Shikha Sharma steps down in December this year. As the deputy MD of HDFC Bank, Sukthankar has direct or supervisory responsibilities for the bank’s credit and risk management, finance and human resources functions and for various strategic initiatives of the bank.